USJJF ® Supports UNESCO's Traditional Sports & Games with the Panamerican Traditonal Jiu-Jitsu Organization..!! Mrs. Lourdes Bethers, Mr. Bruce R. Bethers, Mr. Shammi Rana and Mr. Harpreet Arora met in Reno, Nevada to discuss the UNESCO Traditional Sports and Games (TSG) and the United States Ju-Jitsu Federation (USJJF) ®. Bruce R. Bethers, President of the United States Ju-Jitsu Federation (USJJF) ®, recently met in Reno, Nevada USA with Shammi Rana, the Rapporteur/Secretary General of the Adhoc Advisory Committee for the UNESCO Traditional Sports and Games. Mr. Rana and Mr. Bethers discussed the development of the UNESCO Traditional Sports and Games. These two gentlemen are long-time friends & associates having worked together to Grow Ju-Jitsu at the international level over the past 20 years… Bethers Congratulated Rana on the Great Progress that has been accomplished working through UNESCO for Traditional Sports & Games. At this meeting, they discussed the possibility of creating a Panamerican traditional ju-jitsu organization. The function of the organization would be to safeguard, develop and promote traditional ju-jitsu in the Americas. Mr. Bethers will coordinate the efforts for this Panamerican group under the guidelines of the UNESCO Traditional Sports and Games. Mr. Harpreet Arora, Chief Financial officer of the United States Traditional Wrestling Society (USTWS), has offered his business and technological expertise to the project and will use his business leadership to assist the new group with its financial strategies and business plan. Mr. Arora owns a successful internet technology company and has a passion for advancing cultural understanding through sports. United States Ju-Jitsu Federation (USJJF) ® was established in 1971. Over the past 47 years, USJJF has provided multiple national training and certification programs for traditional focused Ju-Jitsuka as well as competition skills / referee training and championships at the state, regional, national and international level for sport focused Ju-Jitsuka. The Mission of the United States Ju-Jitsu Federation (USJJF) ® is to unify American Ju-Jitsuka with a foundation of mutual respect for all styles or systems of Ju-Jitsu (in its many spellings), as well as provide services and guidance to foster Technical Excellence, Fellowship and Human Character Development. USJJF ® members have participated in the North American Ju-Jitsu Union (NAJJU), the Panamerican Jiu-Jitsu Federation (PJJF), the Ju-Jitsu International Federation (JJIF), the Asian Martial Arts Games (conducted by the Olympic Council of Asia), the International World Games Association (IWGA), the World Ju-Jitsu Federation (WJJF), the World Ju-Jitsu Kobudo Organization (WJJKO), the World Council of Ju-Jitsu Organizations (WCJJO) and The Association of International Sport For All (TAFISA). USJJF has also organized, sponsored and sent USA JU-JITSU ® National Teams to compete in Continental and World Level Ju-Jitsu Championships. Over the past 47 years, the USJJF ® has conducted many demonstrations, seminars, referee clinics and championships all to spread the growth of traditional & sport ju-jitsu in the USA. USJJF ® members have traveled to Canada, Mexico, Brazil, Uruguay, Spain, England, Germany, Italy, France, Sweden, Russia, Ireland, Kuwait & Scotland to participate in training camps and compete in championships. 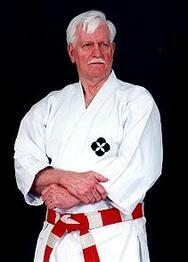 Bruce R. Bethers, a Lieutenant Colonel (US Army retired), has 50 plus years of learning and teaching martial arts. He earned a Bachelor’s Degree in Political Science from Oklahoma University in 1972 and a Master’s Degree in Business Management from Oklahoma City University in 1983. From 1978 - 1989, he was a Professional YMCA Director. He has served as the President of USJJF since 1999. He also serves as a Board Member of the USA Sports Council (USASC) which is headquartered in Colorado Springs, CO USA. Since the United States is a melting pot of culture, it is the perfect location to host an international traditional ju-jitsu event. The Panamerican group will be planning to host an international celebration to bring together all interested parties and athletes to participate in a traditional event. Traditional attitudes and values have been marginalized due to an ever-increasing shift toward professionalism and commercialism. The Panamerican traditional ju-jitsu group will work to identify and unify diverse cultures & groups through our activities. This group will become a Regional Partner Organization in accordance with the rules, policies & regulations of the UNESCO Traditional Sports and Games.